The Ashley HomeStore brand opened its 900th store in Ahuriri Napier, New Zealand on Nov. 30. Four additional HomeStores opened on the same day in New Zealand in Palmerston North, Paraparaumu, Lower Hutt and Hamilton. 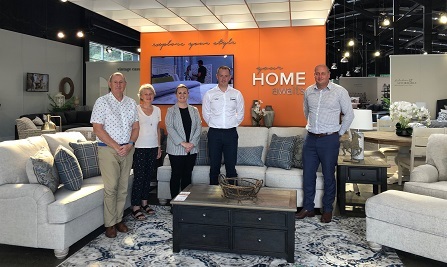 Tom McKimm, Managing Director of Big Save Furniture, the largest furniture retailer in New Zealand, will own and operate all five of the New Zealand HomeStore locations. With Ashley HomeStore’s located in 54 countries, the opening of these five stores in New Zealand, a new country for the brand, Ashley now has 310 international HomeStores. The combined 50,000-square-foot showroom spaces located at Napier, Palmerston North, Paraparaumu, Lower Hutt and Hamilton will feature complete lifestyle settings including bedroom, dining room, upholstery, leather, occasional tables, home office, youth bedroom, recliners, mattresses and accessories.